It adopted strict height limits for new construction in the Mount Vernon historic district to give developers and area residents a sense of certainty about what size structure can be built on any given block. Yesterday, “strict” and “certain” took a back seat to “flexible” and “case-by-case” as the Commission for Historical and Architectural Preservation (CHAP) voted to permit a 10-story, 116-foot-tall building on the site of the former Eddie’s grocery store in an area where the height limit is 100 feet. In doing so, the panelists not only disregarded their own guidelines, but overruled the city’s professional preservation staff, which had recommended disapproving the design. “To quote Emerson, foolish consistency is the hobgoblin of little minds,” said Robert C. Embry, one of nine panel members who voted unanimously to approve it. Some audience members and preservationists speaking at the meeting strongly disagreed. “Our position is that this building should follow the height limit proposed in the Mount Vernon Design Guidelines,“ said Johns Hopkins, executive director of Baltimore Heritage, a preservation advocacy group. 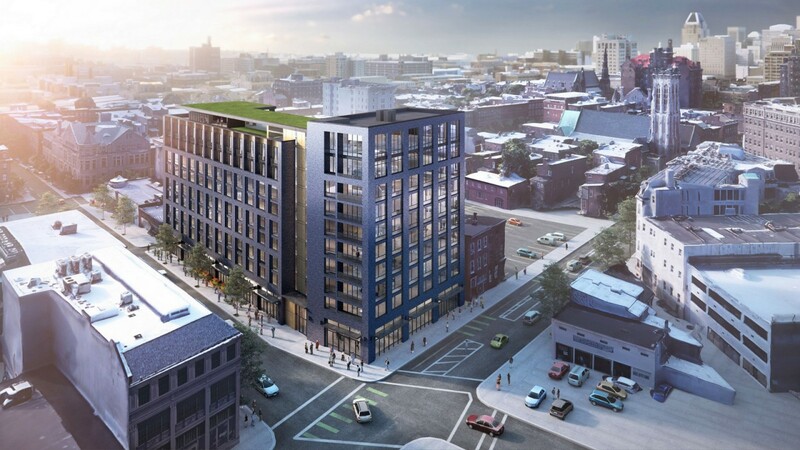 The panel’s 9 to 0 vote means that developer Dennis Richter has cleared a key hurdle in his quest to redevelop a parcel he assembled in Mount Vernon, the city’s oldest preservation district. It also showed that the commission is willing to break rules that were set up to limit construction — if a developer makes a persuasive enough case. At least one panel member said he was worried that other developers will seek to exceed the height limits, knowing that CHAP may be receptive. Liebel said he is concerned about other developers asking to break the city’s height limit but not offering to construct a building as high in quality as Richter’s. “If this project gets an exemption, what about the next project and the next?” he said. Several community members, including a representative of the Agora publishing company, also expressed concern about violating the height limit. “It’s very disconcerting hearing my neighbors say these restrictions don’t matter,” he said. The development site includes land where several buildings now stand. 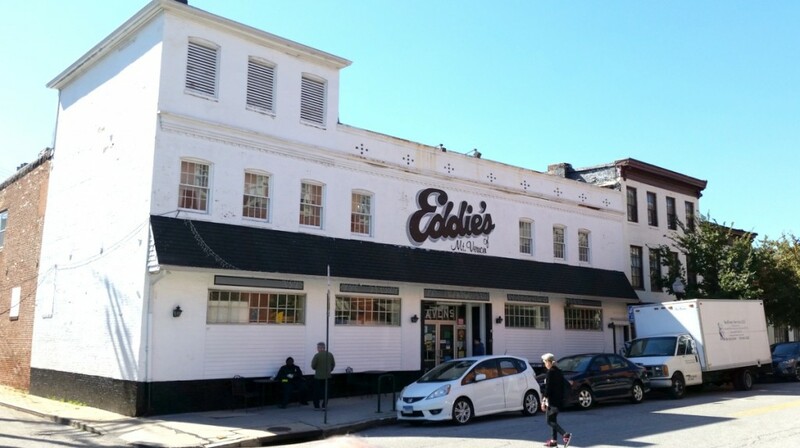 They are: Eddie’s grocery store at 7 to 11 West Eager Street, the former Eager House restaurant at 13 to 15 West Eager Street, the former Comprehensive Car Care Center at 919 Cathedral Street, and the rear of 917 Cathedral Street. CHAP voted last year to allow demolition of those structures to make way for new construction once the developer obtains design approval and financing for the replacement building. 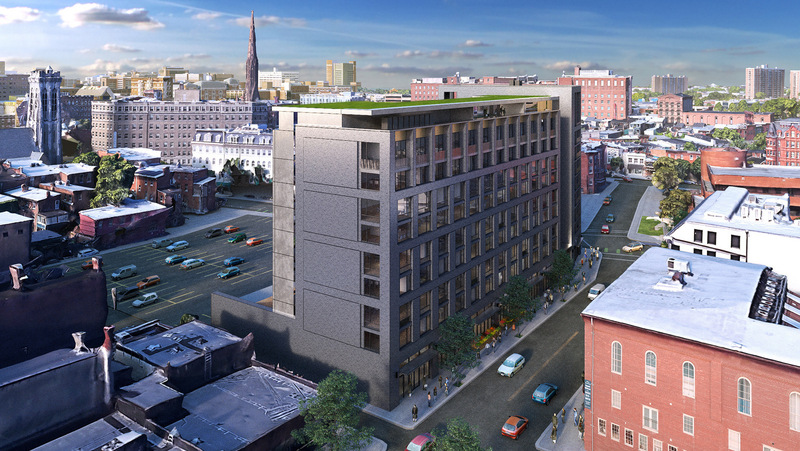 The project still needs approval from the city’s zoning board. The as-yet unnamed development is a $35 million mixed use building containing one level of underground parking for 45 cars, food-related retail space at street level, 126 apartments on floors 2 to 9, and a pool, gym, bar and other amenities on the top level. The developer is aiming to start construction in the spring of 2019 and finish by the fall of 2020. The 100-foot height limit, adopted in 2006, was reiterated in the city’s Transform rezoning process last year. The proposed structure, designed by Ziger Snead Architects, would be located at the corner of Cathedral and Eager streets. Richter, who heads 13 West Eager LLC, told the commission that he started out trying to adhere to the 100-foot height limit. But he said he found that he needed a slightly taller building to contain the number of apartments that will generate enough revenue to build the quality structure he believes the location merits. Richter said the top level will be devoted to amenities that the community requested during the design process. If the building had to be a floor shorter, he said, it would lose 14 apartments and the revenue they would bring. Architects Steve Ziger and Douglas Bothner said the revenue from eight floors of apartments gave them a budget to design a better building. Bothner said the exterior will be made of an Ironspot Manganese brick that is dark gray in color but will gleam in the sunlight. 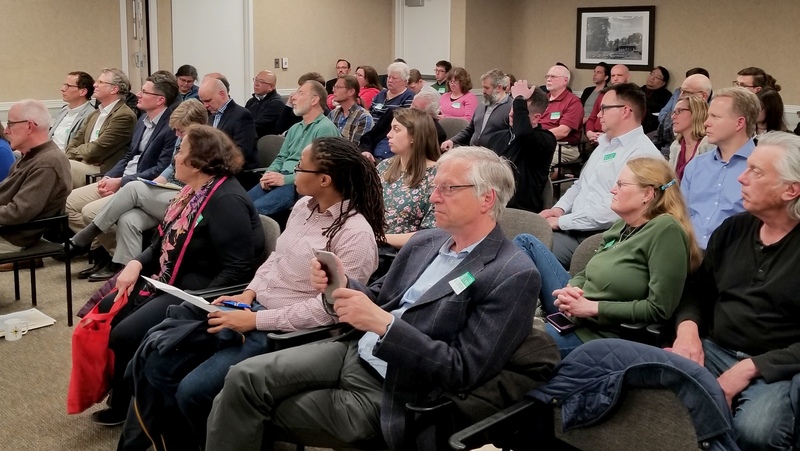 More than 50 people came to the two-hour hearing, and the majority of people who testified spoke in favor of the developer and the project. Steve Shen, representing the Mount Vernon Belvedere Association, acknowledged that the community asked for height limits in the past but said he would be comfortable having designs considered on a “case by case basis” if that results in better quality buildings. The comments by Duff and Shen drew a sharp response from Liebel, the panel’s chairman. Panel members acknowledged that CHAP shouldn’t make a habit of breaking its own rules. 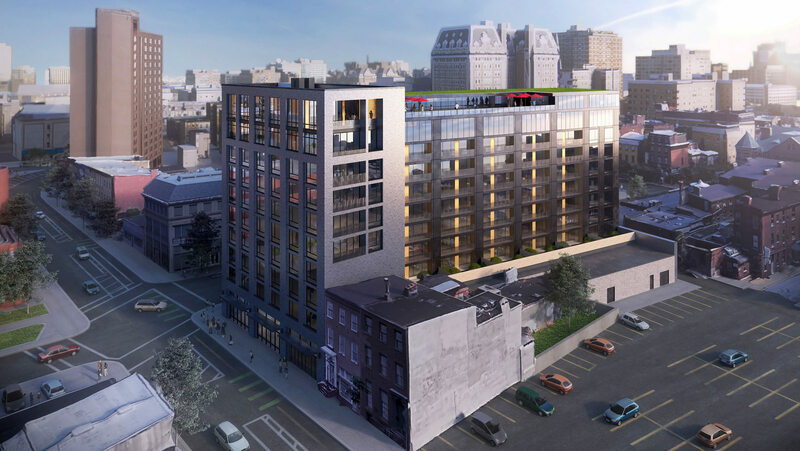 They said they were willing to overlook the height limit in this case because of the design, because they trust the developer, because the height is within 16 feet of the limit, and because height limits on nearby parcels allow taller buildings. They also noted that the Eager Street project has widespread community support. Panel member Larry Gibson said he believes the developer made a “very impressive and persuasive” case for exceeding the height limit. Commissioner Matthew Mosca suggested the panel might want to take another look at the height limits in place and decide whether they should be adjusted or are worth keeping at all.